Transesophageal echocardiography (TEE) is a rapid, reliable and safe investigation in patients with aortic disruption, which can guide immediate therapeutic intervention. We present the TEE characteristics of partial aortic disruption.
. During the emergent surgery, aortic disruption was confirmed at the level of isthmus. 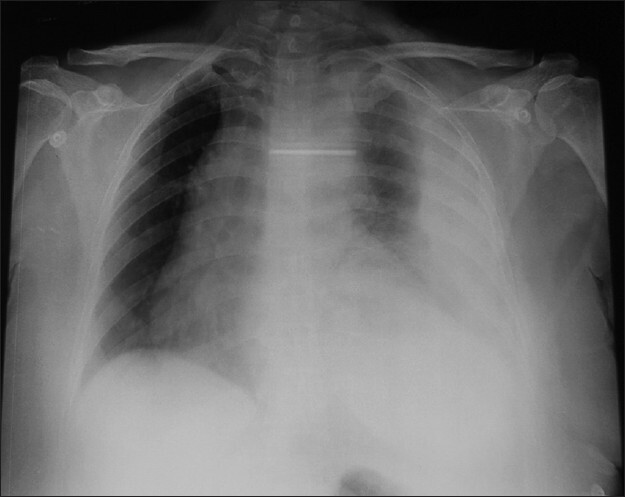 The aortic disruption was repaired with Dacron interposition graft. After surgery, she developed disseminated intravascular coagulopathy and succumbed. Aortic disruption is a fatal emergency. There are several mechanism proposed including: (1) rapid deceleration leading to shearing stress to the aorta; (2) aortic compression between the sternum and the thoracic spine; (3) direct load leading to deep medial tears due to the aortic wall strains. ,, 50% of the survivors die in next twenty four hours. The most common site of aortic disruption is isthmus being tethered by ligamentous arteriosum. Computed tomography (CT) aortogram have been a gold standard for the diagnosis; however, it requires mobilization of the patient to the radiology department and is a time consuming process. 1. Jamieson WR, Janusz MT, Gudas VM, Burr LH, Fradet GJ, Henderson C. Traumatic rupture of the thoracic aorta: Third decade of experience. Am J Surg 2002;183:571-5. 2. Hanson PG. Pressure dynamics in thoracic aorta during linear deceleration. J Appl Physiol 1970;28:23-7. 3. Crass JR, Cohen AM, Motta AO, Tomashefski JF Jr, Wiesen EJ. A proposed new mechanism of traumatic aortic rupture: The osseous pinch. Radiology 1990;176:645-9. 4. Schmoker JD, Lee CH, Taylor RG, Chung A, Trombley L, Hardin N, et al. A novel model of blunt thoracic aortic injury: A mechanism confirmed? J Trauma 2008;64:923-31. 5. Javadpour H, O'Toole JJ, McEniff JN, Luke DA, Young VK. Traumatic aortic transection: Evidence for the osseous pinch mechanism. Ann Thorac Surg 2002;73:951-3. 6. Smith MD, Cassidy JM, Souther S, Morris EJ, Sapin PM, Johnson SB, et al. 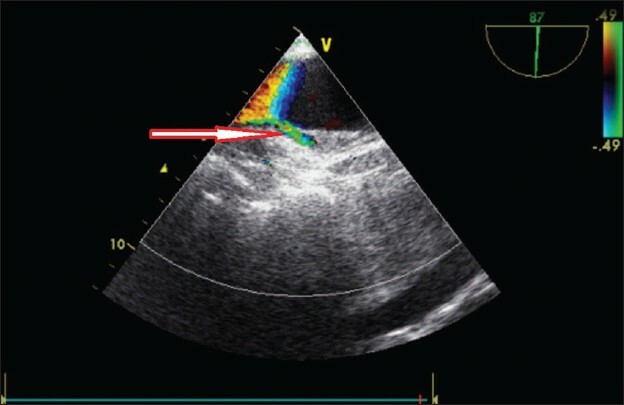 Transesophageal echocardiography in the diagnosis of traumatic rupture of the aorta. N Engl J Med 1995;332:356-62. 7. 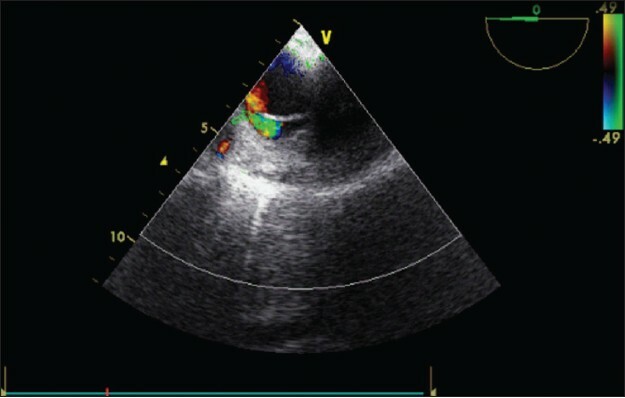 Berenfeld A, Barraud P, Lusson JR, Haziza F, Papouin G, Cassagnes J. Traumatic aortic ruptures diagnosed by transesophageal echocardiography. J Am Soc Echocardiogr 1996;9:657-62. 8. Vignon P, Guéret P, Vedrinne JM, Lagrange P, Cornu E, Abrieu O, et al. Role of transesophageal echocardiography in the diagnosis and management of traumatic aortic disruption. Circulation 1995;92:2959-68. 9. Oberhuber A, Erhard L, Orend KH, Sunder-Plassmann L. Ten years of endovascular treatment of traumatic aortic transection: A single centre experience. Thorac Cardiovasc Surg 2010;58:143-7.